Just about everyone I know enjoys eating a plate of buffalo wings every now & again. 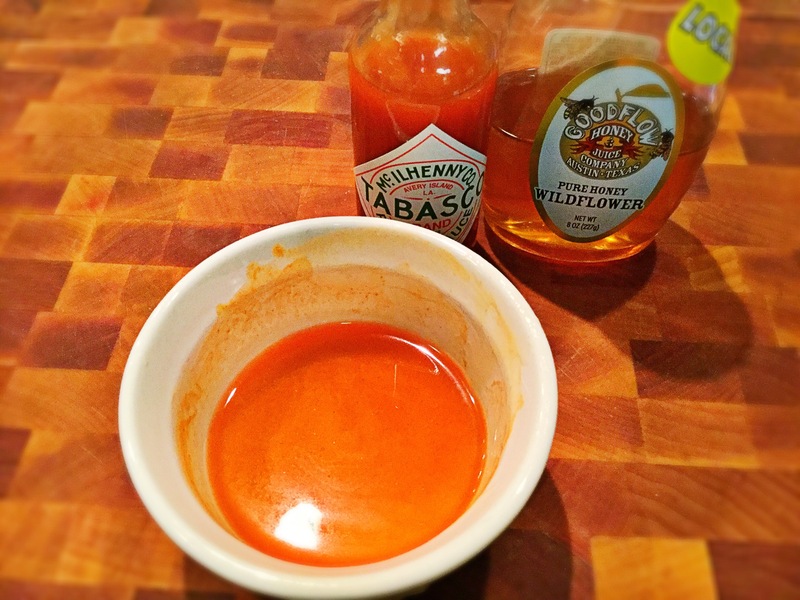 For me, the hotter the better really…but unfortunately, I’m usually still a bit hungry after. Here you get that exact same great flavor, but in a fat and tasty sandwich form! It’s filling for your entire family, kiddos included!! 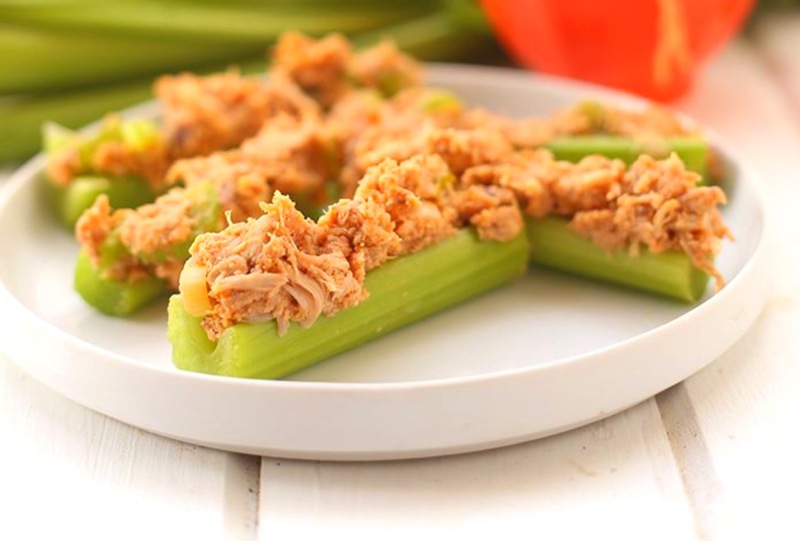 Now if you’re eating on the lighter side these days or are perhaps gluten-free, you can simply stuff the buffalo chicken into some crunchy celery sticks alongside your favorite dipping sauce! 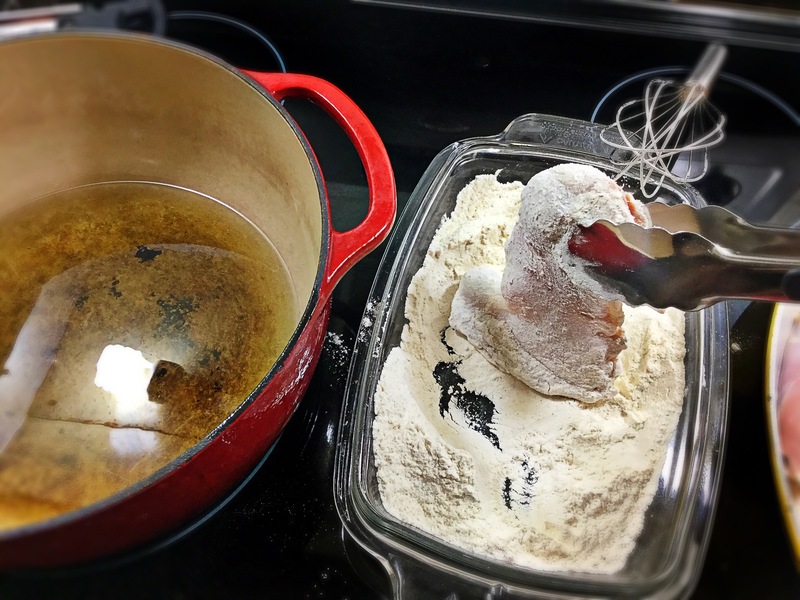 Seriously, there is A LOT that can be done with this fantastic chicken filling! Quesadillas, tacos, made into a dip with cream cheese, on grilled cheese, stuffed into an avocado…the options are almost endless! Simple. Simple. Simple. 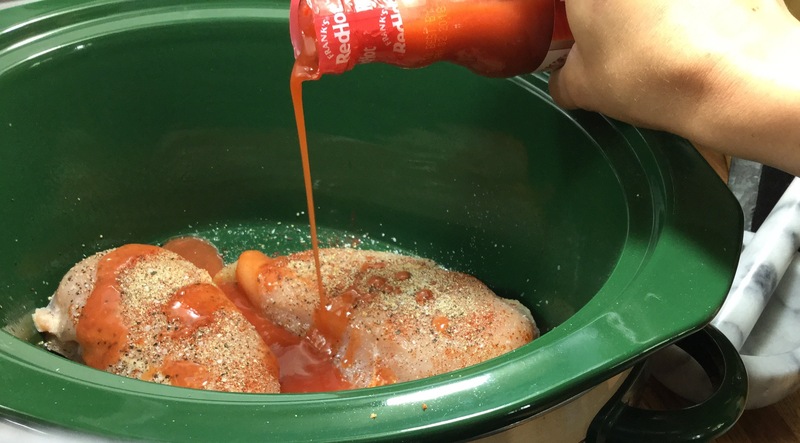 Spray your crockpot with a bit of nonstick spray and place the chicken breast in the bottom. Sprinkle the 5 seasonings over the chicken (cayenne & black pepper, garlic & onion powder, pinch of salt). Next pour in 3/4th of the bottle of Franks Red Hot Original sauce, cover, and set to low for 8 hours or high for about 5 hours. Times up!!! 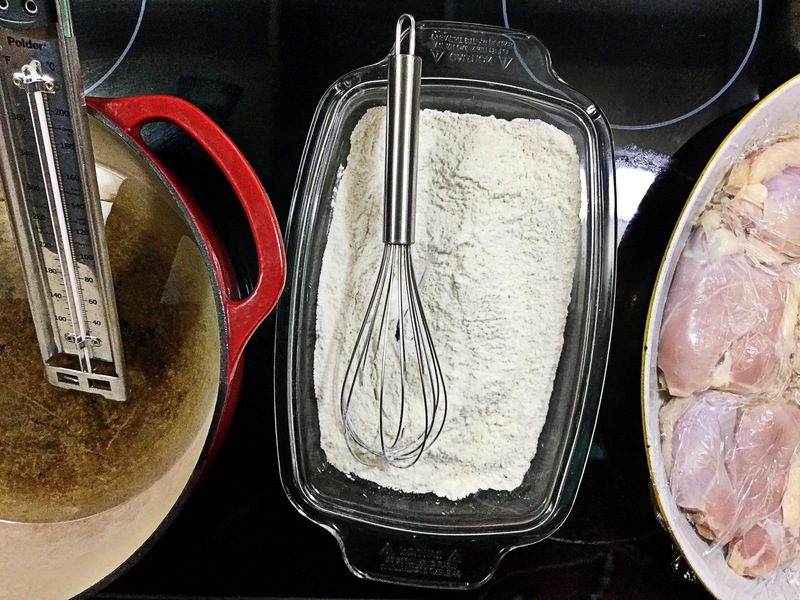 Add the butter to the now cooked chicken and using two forks, shred away! 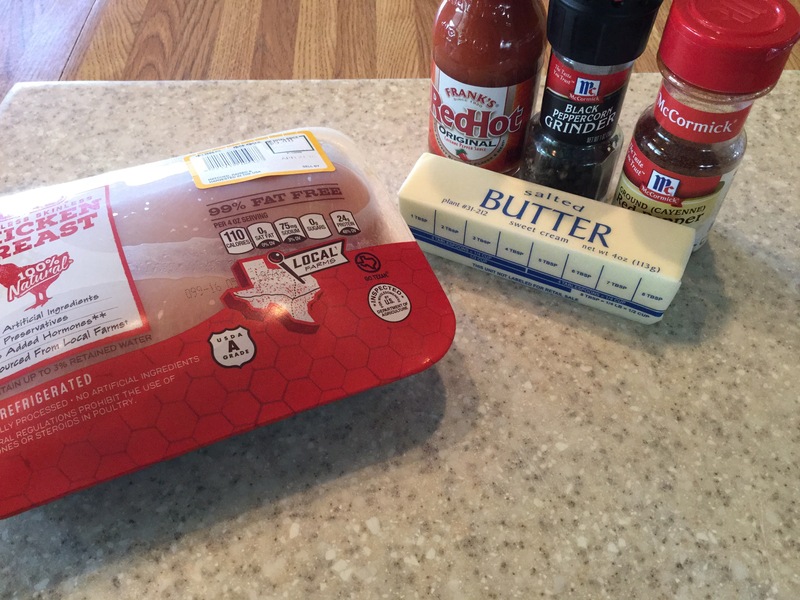 Next, add in the remaining 1/4 cup of wing sauce and toss to coat. Done! Easy right?? 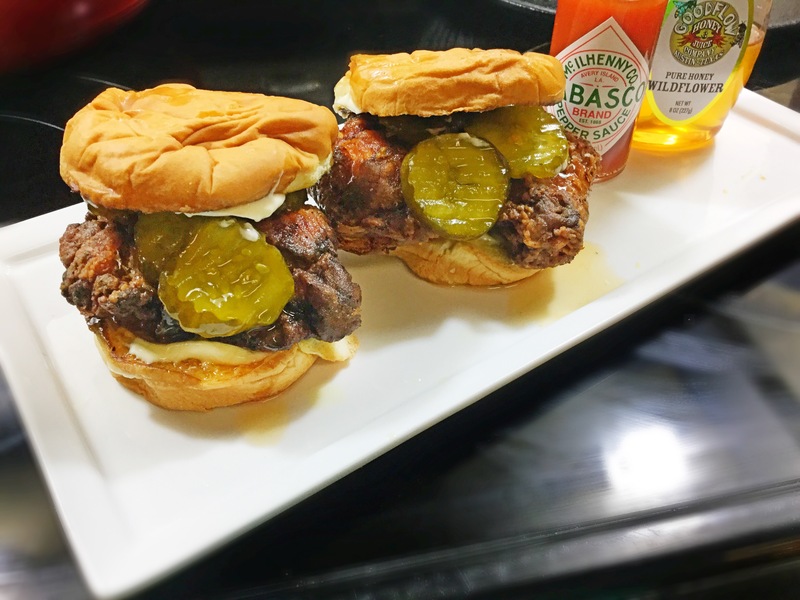 Now if you’re making these into sandwiches, here’s how we like them! 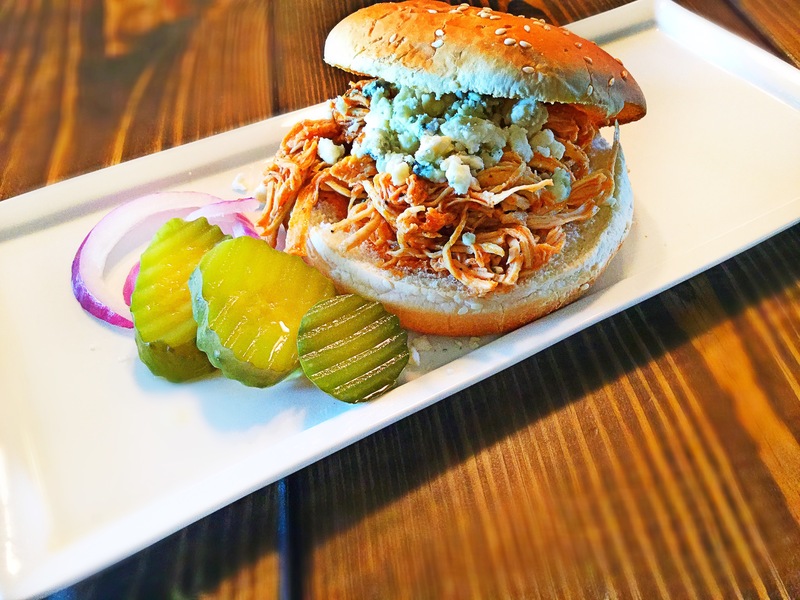 I toast the buns first and place a heaping portion of the shredded buffalo chicken on top (depending, I’ll lather on a bit of ranch dressing onto the inside of each toasted bun before adding the chicken). Then I top with a bit of the blue cheese crumbles and a few slices of thick cut dill pickles and red onion! Delish!! Lighter fare?? 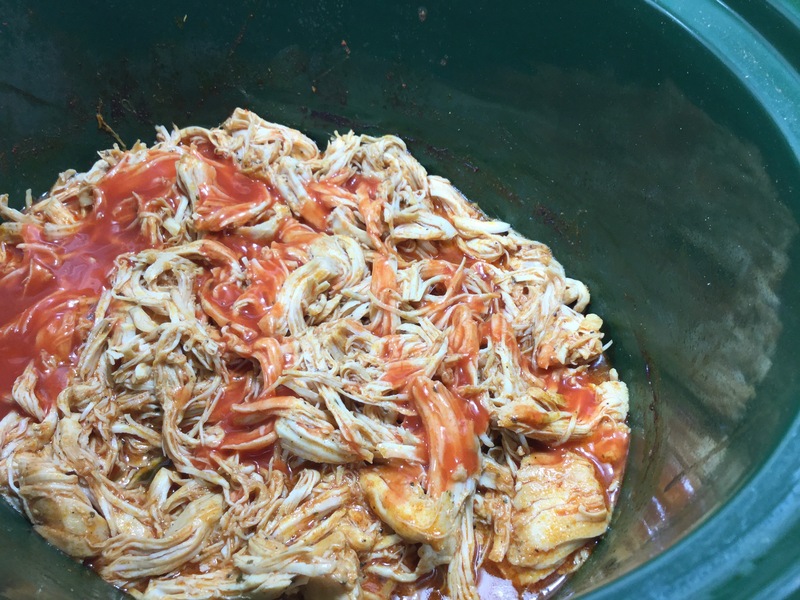 Clean and cut up some celery and simply stuff full of the shredded buffalo chicken. Serve alongside either ranch or blue cheese dressing for dipping! 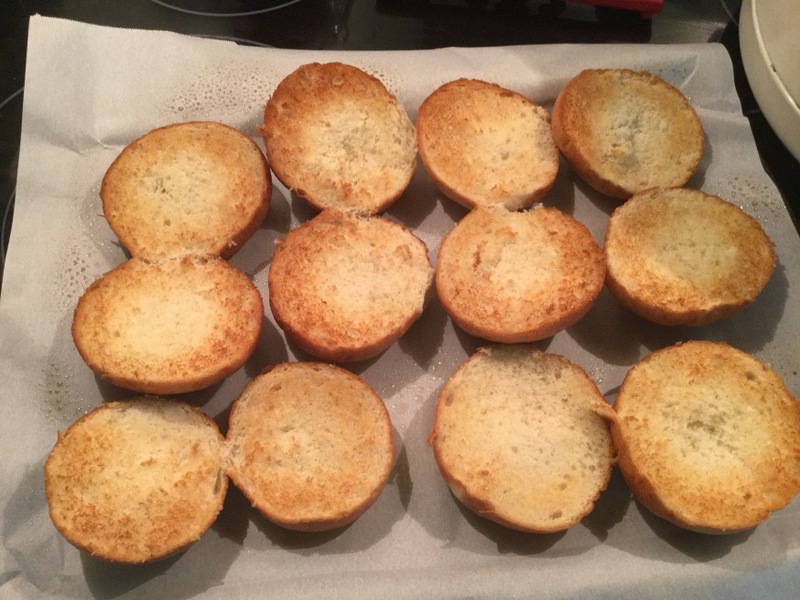 *The blue cheese fanatic that I am, I also like to add the crumbles to the top of these! 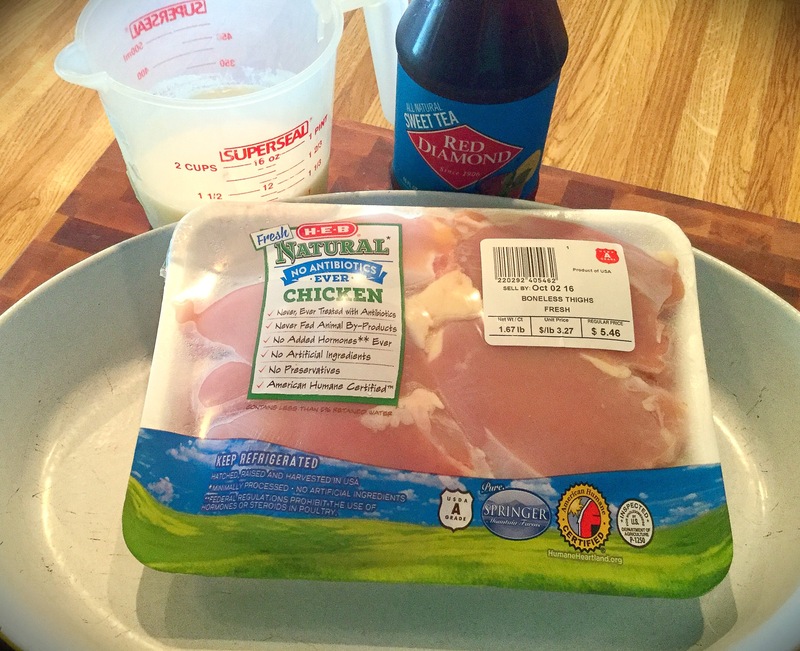 Mix all above ingredients together, cover and refrigerate till use. 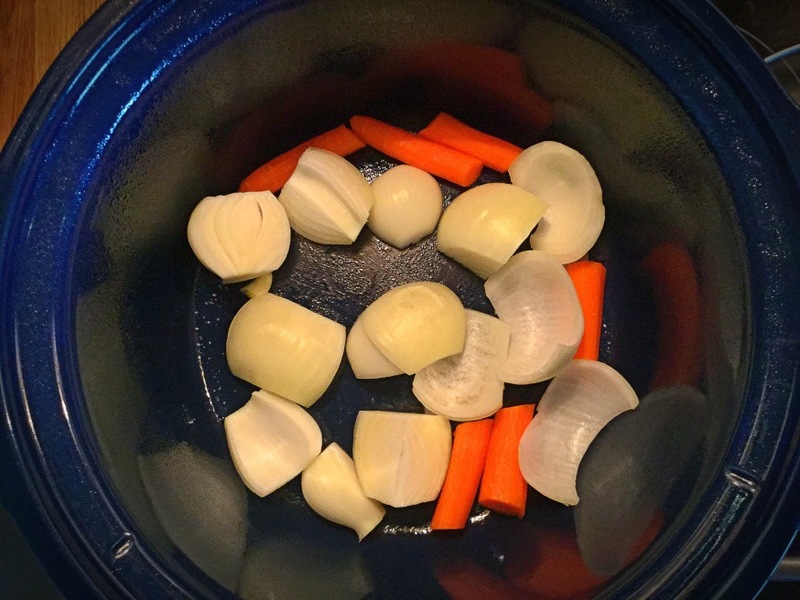 In a large crockpot, spray with non-stick and place in your cut veggies. They’ll act as a rack for the brisket. 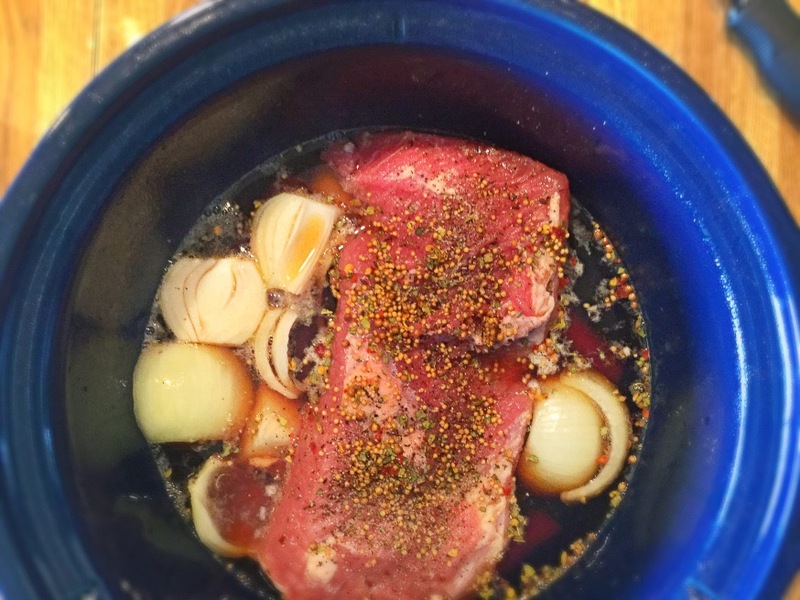 Layer your corned beef over top. Typically, it will either have the seasoning already on it or you just cut open and sprinkle the attached packet over top the meat. 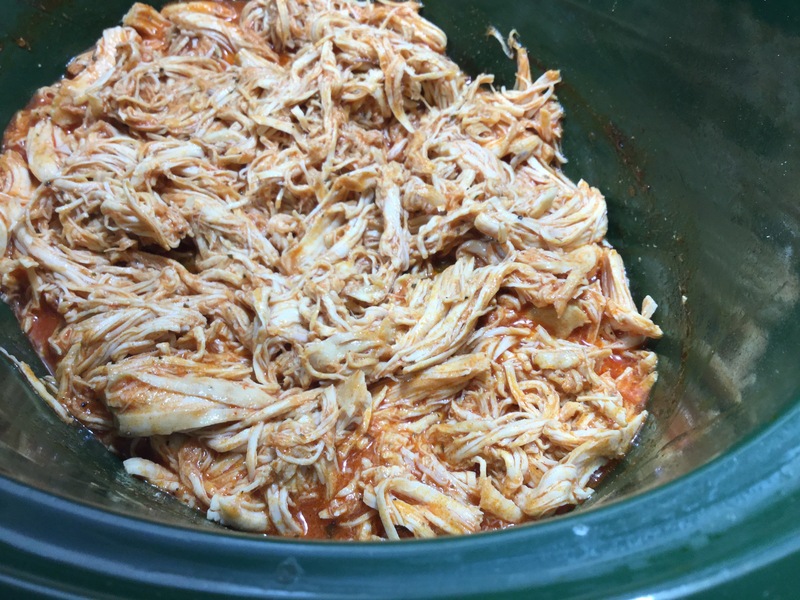 (In a crockpot I like to trim off some of the fat before cooking it. 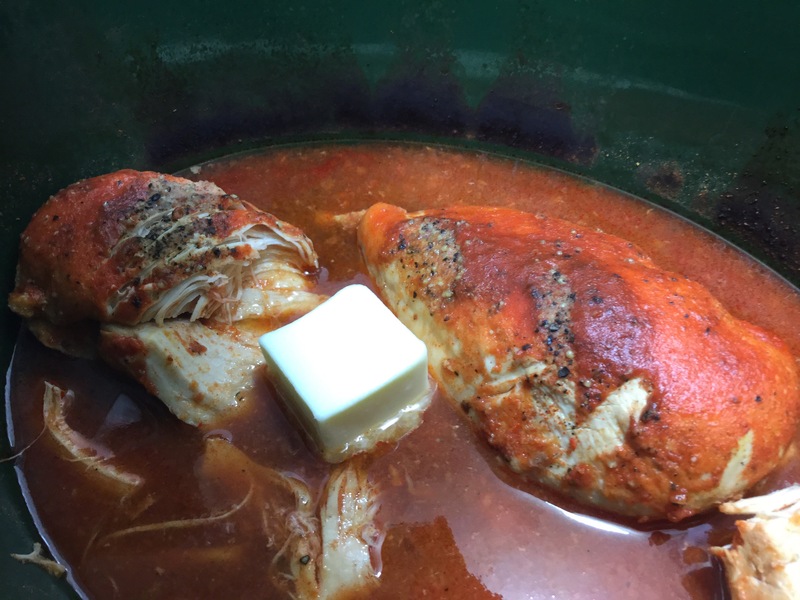 Normally fat is a great thing for flavor, but a crockpot makes meats so tender due to its long cook-time).. Add in the 2cups water and the Guinness over top. Whelp! That’s it for the meat! Cover that baby up and let it cook on low for 8-10 hours or high for about 5-6. Dinner time!!!! Serve how you please, but I like to halve potato rolls and place on a lined baking sheet. 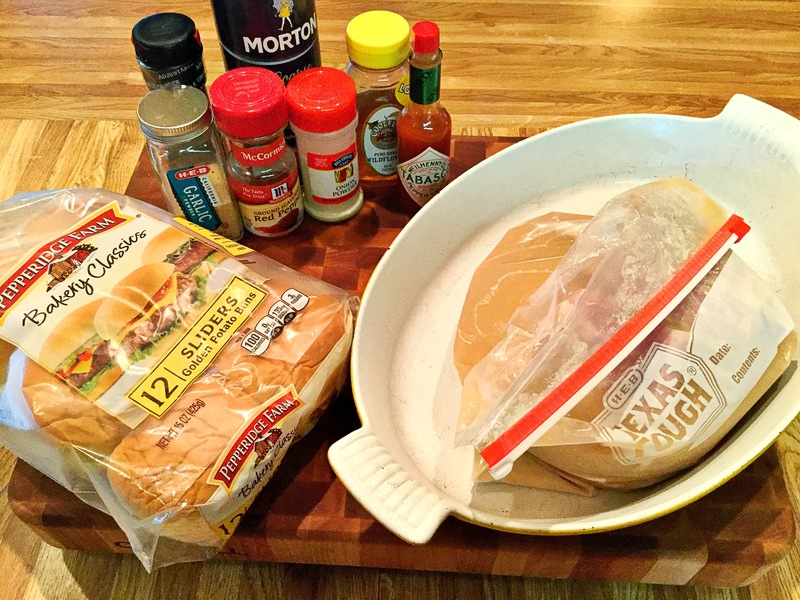 Brush halved buns lightly with a bit of olive oil, butter or non-stick spray. Place under the ovens broiler for just a couple minutes till golden. Meanwhile, slice up that Irish KerryGold cheese! 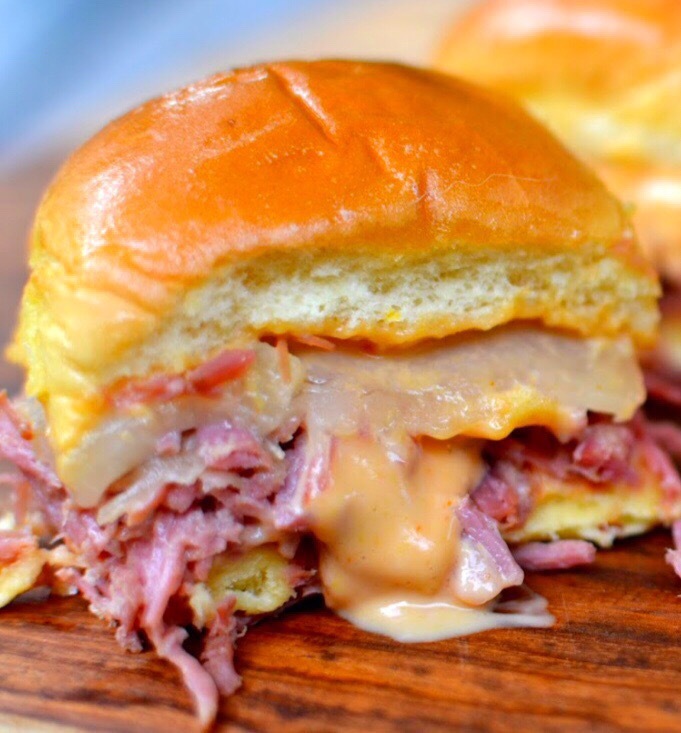 Assemble the tender, hot corned beef over the toasted bun bottom and top with a slice of cheese or two, creamy sauce and the bun top! 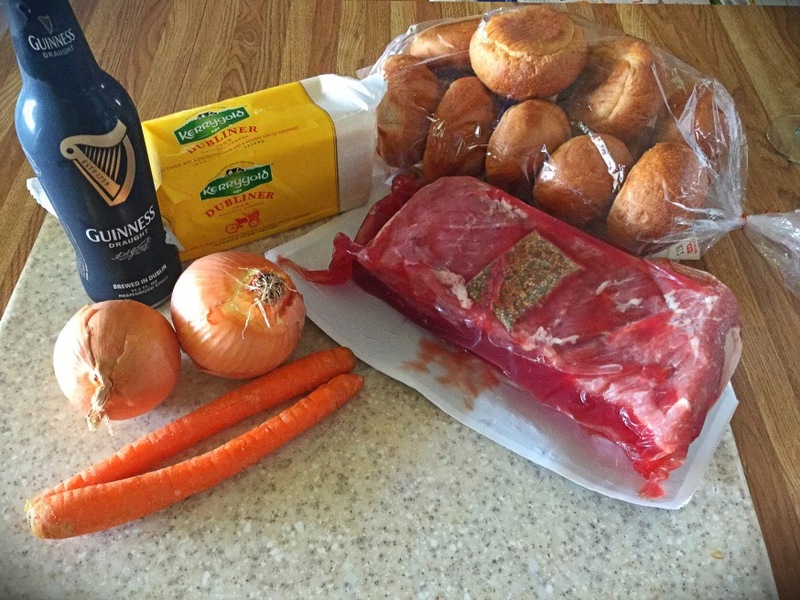 Serve with a cold Guinness and repeat!